This week finds us in Antioch at Rural Hills Church of Christ for Lindsay and Clint's Wedding Reception. 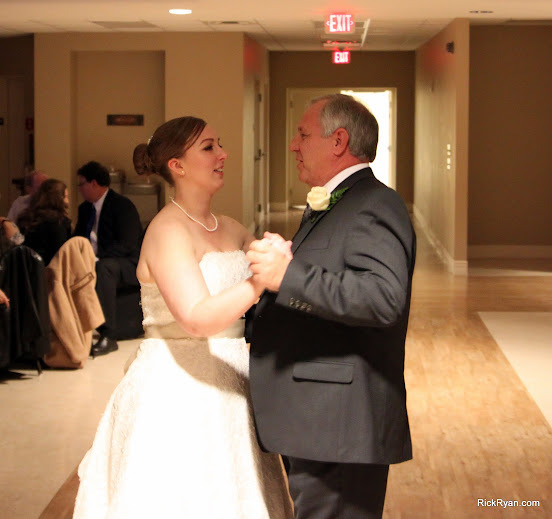 Here's Lindsay, dancing with her father. 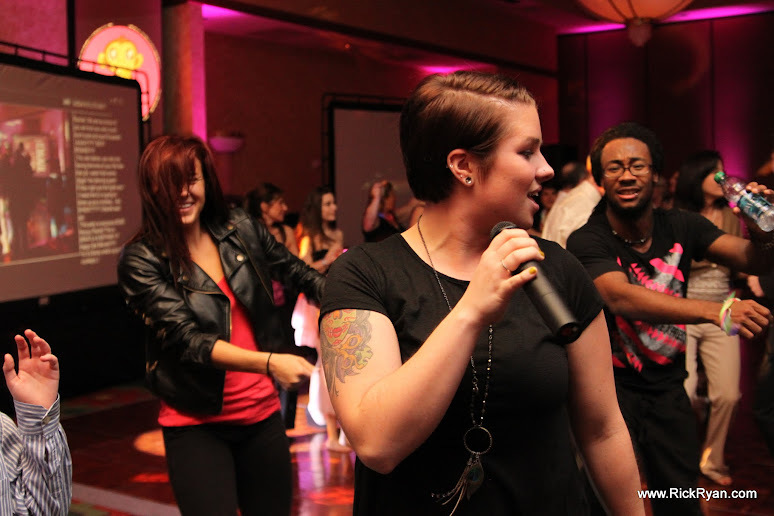 This was a basic DJ service and I decided to use the Bose. Everything sounded great and the event went off even better than expected. The guests loved The Shoe Game (as did the Bride & Groom). Now for the behind-the-scenes story. Given that this was a basic DJ event, I decided to take the Bose and use my personal car (instead of the van). Matthew and I left in plenty of time but when we were about 5 miles away I got rear-ended by a Ford Expedition doing roughly 45 MPH. The Camry ended up being totaled and had the bumper hanging down with the trunk caved in about a foot. To make matters worse, the other driver decided to leave before the police showed up. I called the client, to let them know what happened then waited. After the report was written up, I ripped the spoiler and bumper off and threw them on the side of the road then, drove the car to the church. We had to go in through the rear seat to get to the gear and, fortunately, the Bose wasn't destroyed in the accident. I popped several Ibuprofen, put on a big smile, then conducted the service we were contracted for. 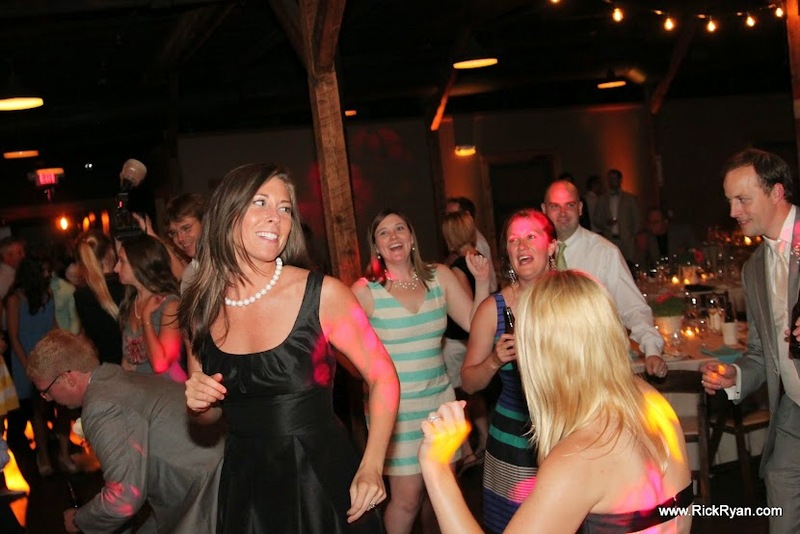 Now I'm mentioning this because it's a prime example of why it's good to go with a multi-DJ service. 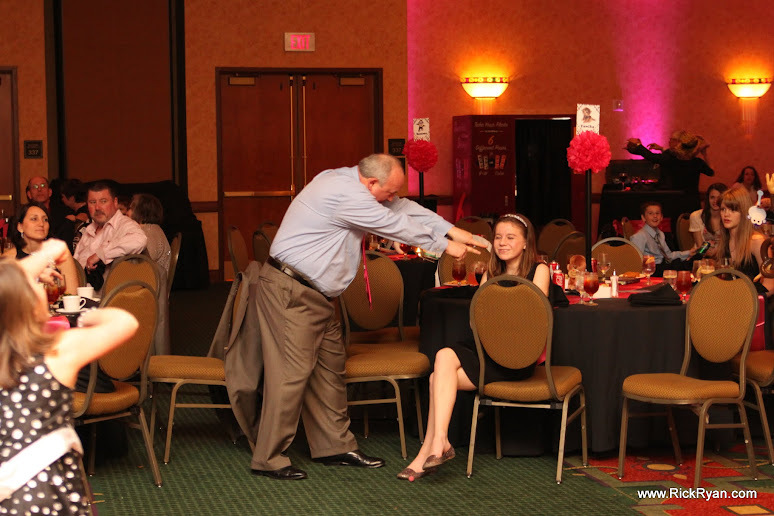 We had another DJ, only 3 miles away, who was ready to go if needed. Regardless of the claim some DJs make that "I've never missed a gig." things can and do happen. It's always best to be prepared for ALL contingencies. Let me introduce you to Callie & Matt. Callie is an Actress, Model, Spokesperson and Singer from Los Angeles. Matt is an up and coming Country Music star from Nashville. 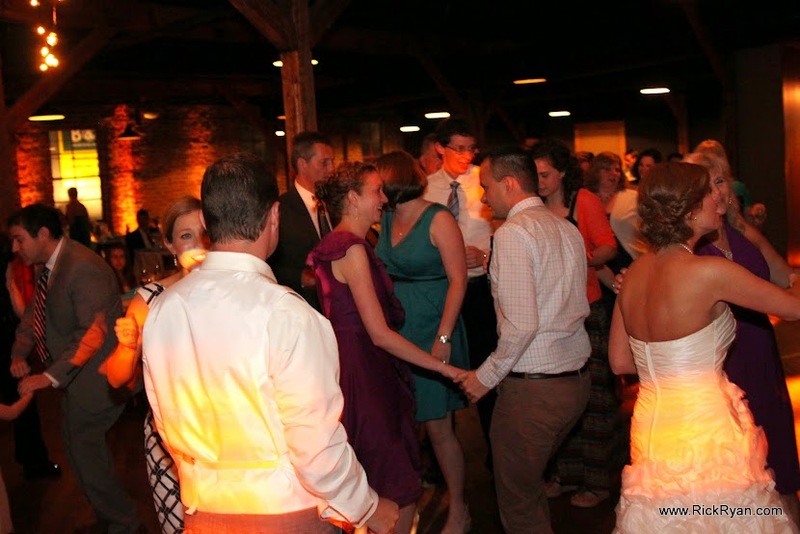 They chose the uber-hip, The Loveless Barn for their nupitals. I have to add they both were an absolute pleasure to work with. 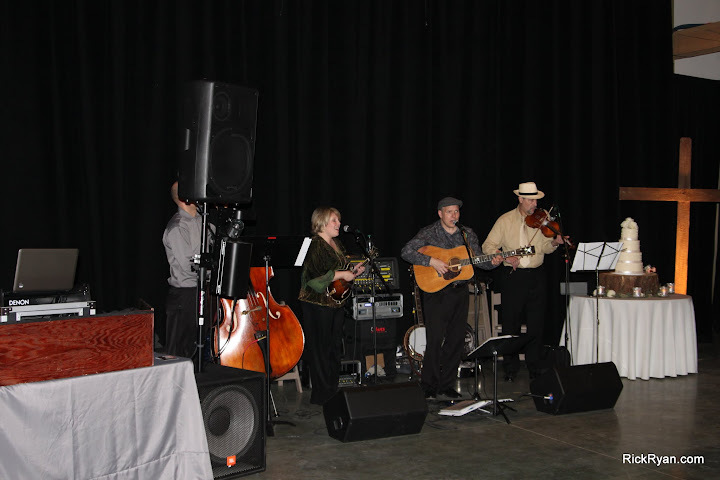 This was an interesting affair, as we got to share time with a live Bluegrass band, which played for the Ceremony and Dinner. 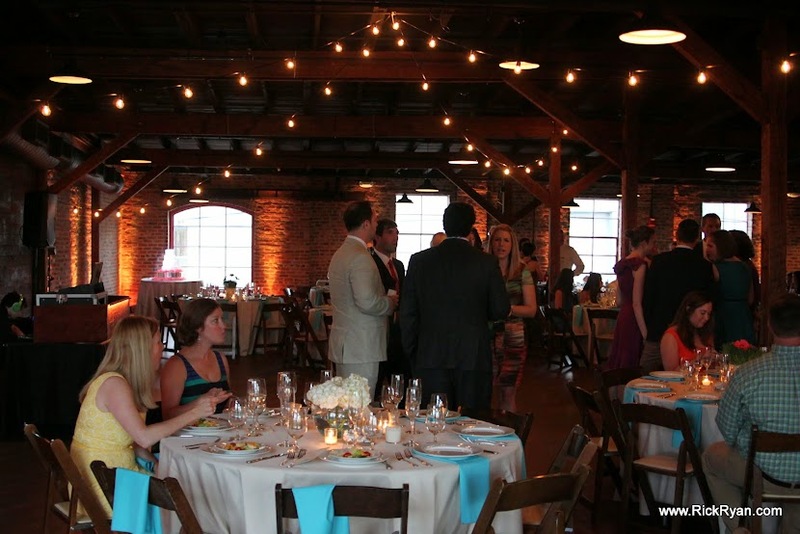 This added a real "Nashville" flair to their event and set the ambiance perfectly for the evening. 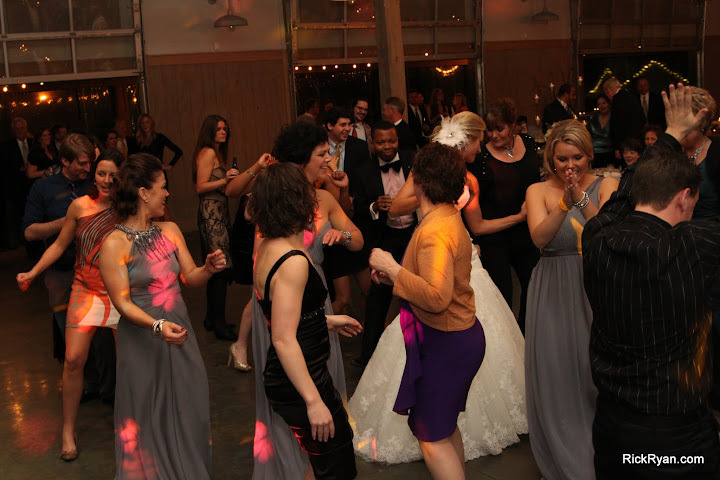 The guest list was highly diverse, with 19 different states being represented. This obviously makes it challenging for the DJ, as different areas of the country have widely varied tastes in music but then again, we love a good challenge. 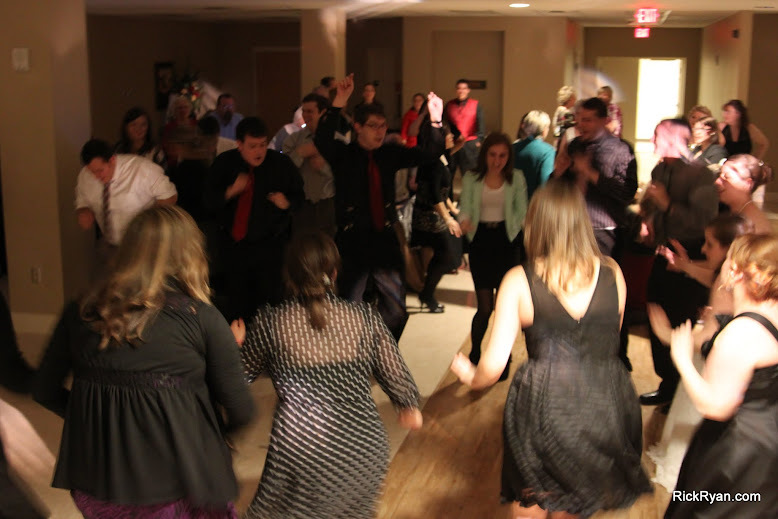 As the evening progressed, the energy level went through the roof. 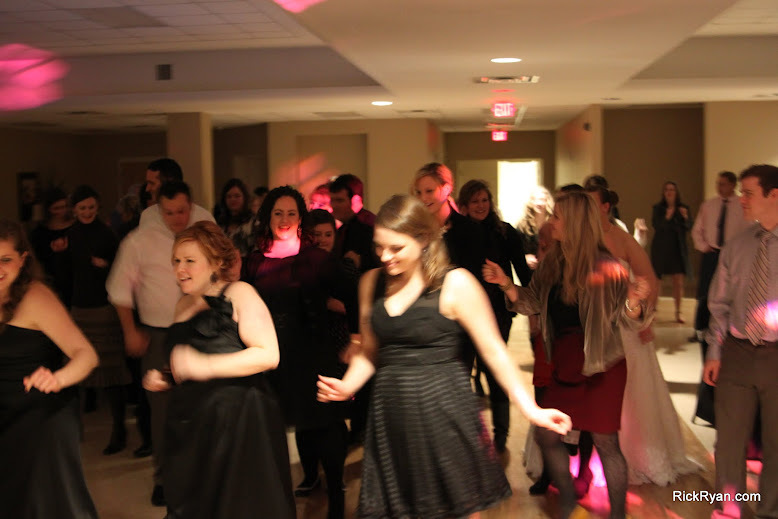 Lots of dancing and guest requests. 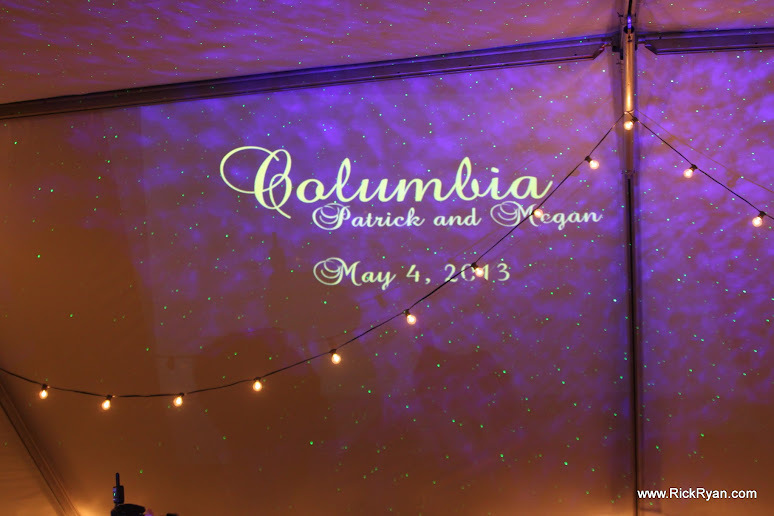 We wish Callie & Matt all the very best in life and much success in your entertainment careers. 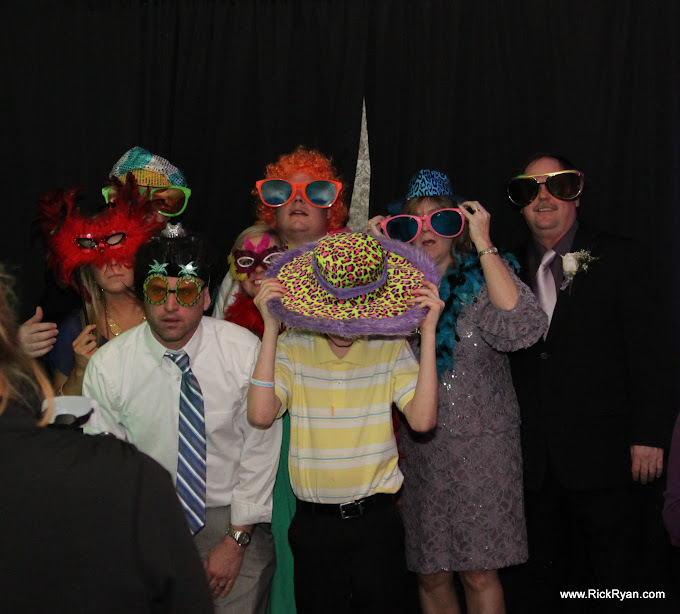 Thank you for allowing us to be a part of your special day. If you know anyone who is getting married soon, please pass this along. What I'm about to share with you is ultra-top-secret and has been passed down through the "Secret DJ Society" for centuries. 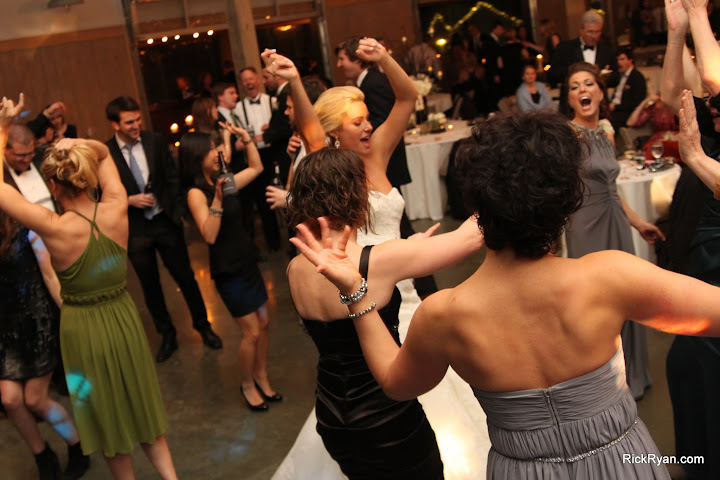 Okay, maybe just a wee bit dramatic but seriously, getting their guests to loosen up and enjoy themselves is a major concern that we hear from Brides. 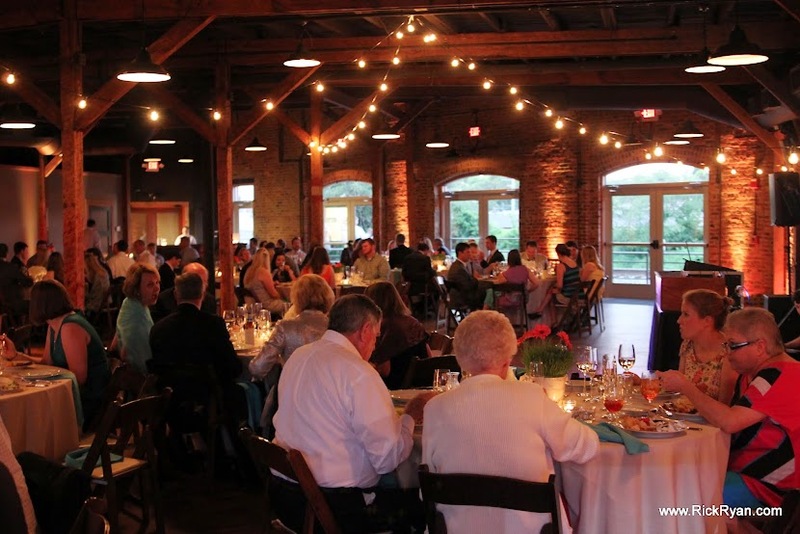 Below is a list of "Top 6" tips that will help make any Wedding Reception a success. 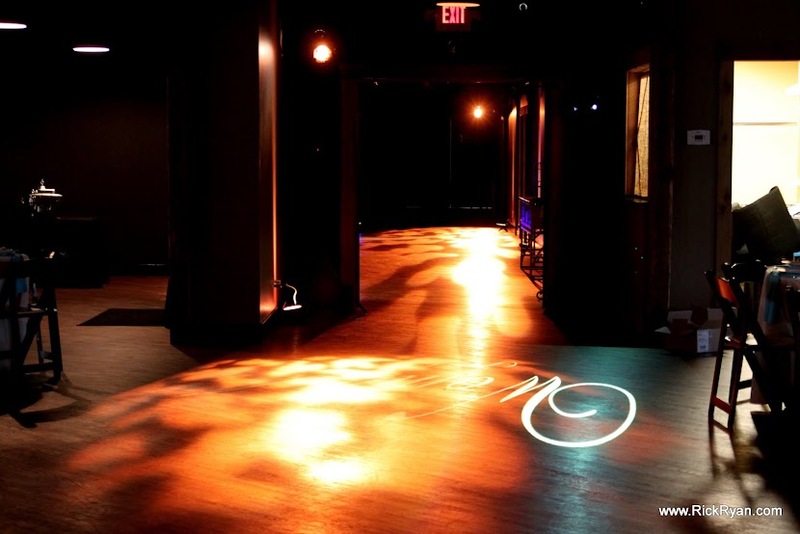 #6: Setting The Tone Setting the tone is key to a successful event. 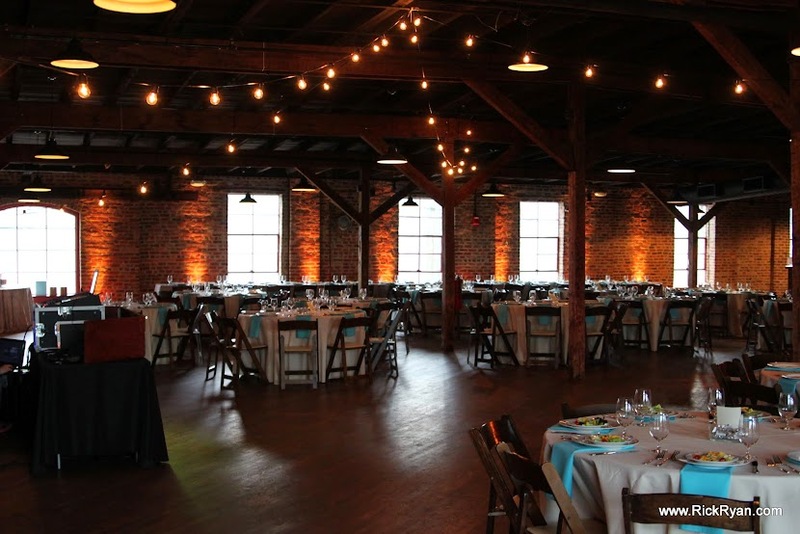 From the moment your guests walk in, their sense of sights and sounds will tell them what kind of evening to expect and what kind of job you did in preparation. Pleasant music should be playing as they arrive and this is where decor comes into play. The DJ area should be neat and clean with no loose wires or junk strewn about. 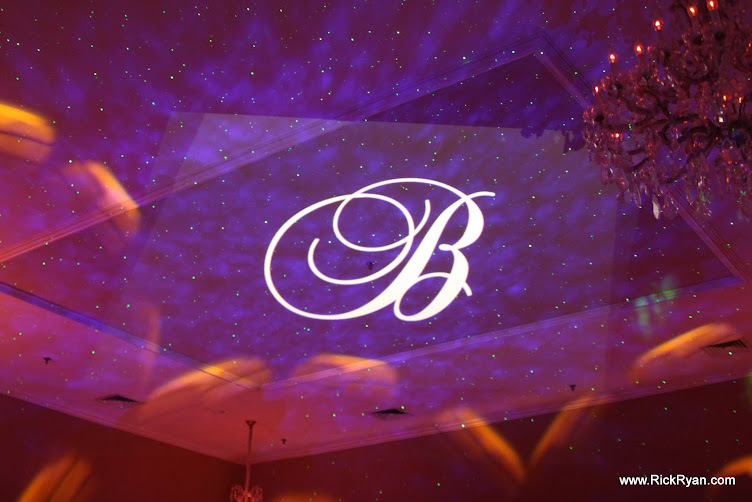 Lighting effects such as Uplighting, Monograms, or Star System Lasers are what we use to get that "tilt back effect" as guests arrive. When their eyes light up and I see them pause and point around the room, then I know that the chances for a stellar event just went up. 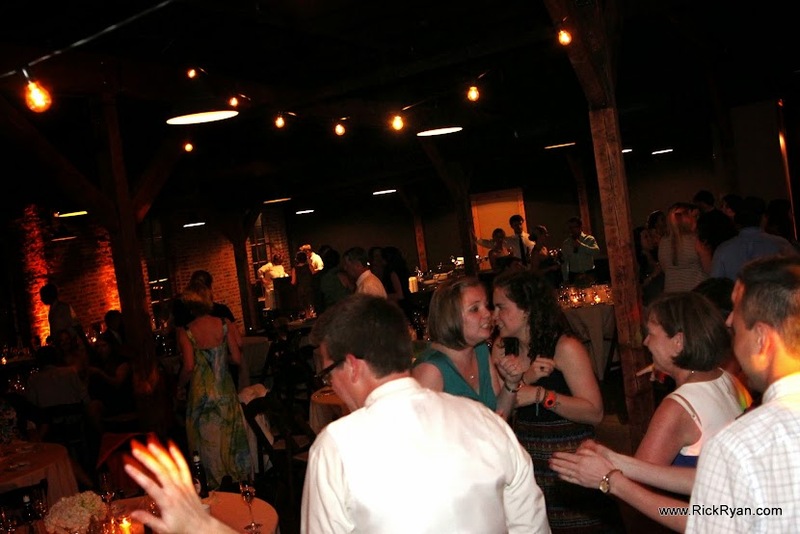 #5: Pacing Your Event There is always a rhythm to any event and there's a time and place for every part of the evening to unfold. 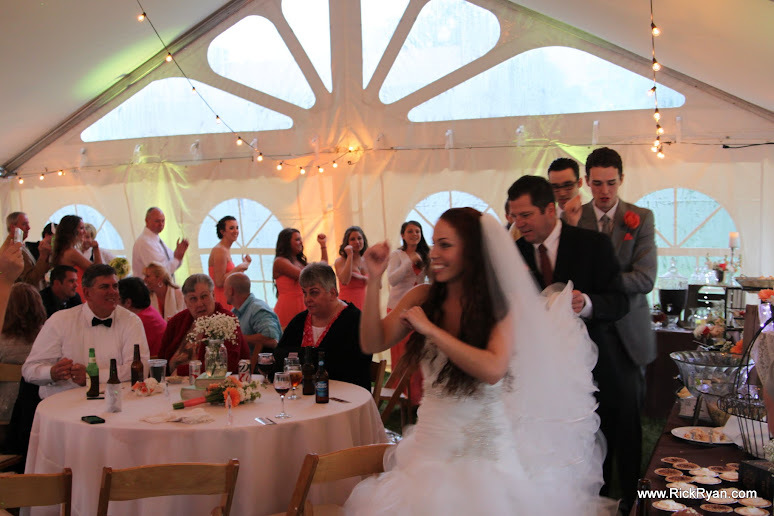 Once you've made your Grand Entrance and done your First Dance, sit back, relax and drink it all in. Go with the flow and let it develop. 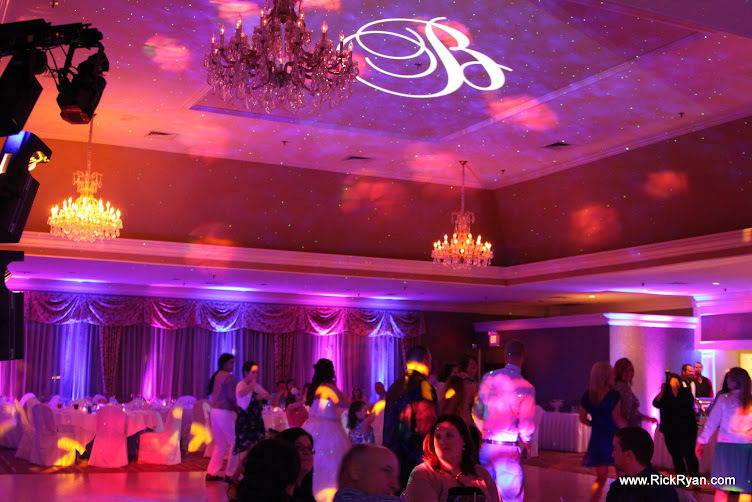 We typically recommend the following order of events to start off; Cocktail hour, Grand Entrance, First Dance (use the energy of the GE for your FD), then dinner. 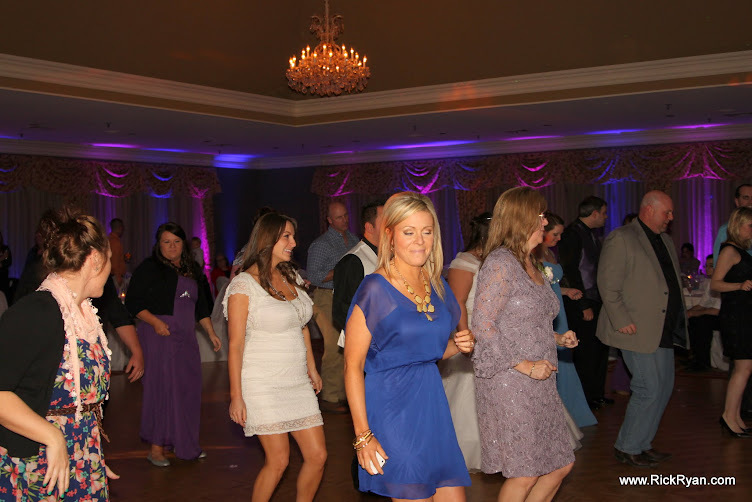 By the time we've reached open dance set, some Brides get nervous if they don't see their dance floor fill instantly. 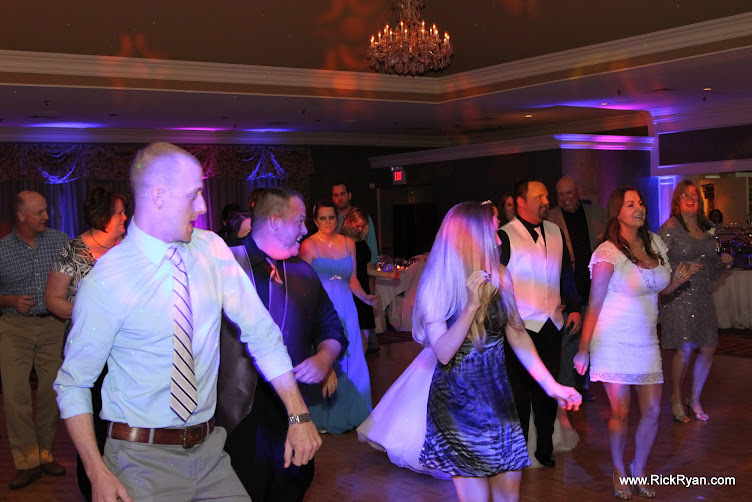 Here again, realize there's a pace involved which is affected by how out-going (or conservative) your guests are, whether they actually enjoy dancing, the weather, etc. 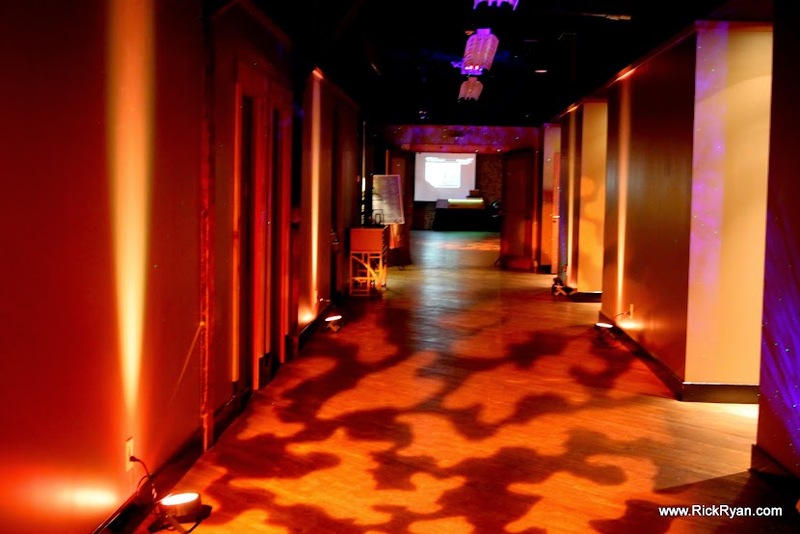 A great DJ will work the room and find what gets response and what doesn't. 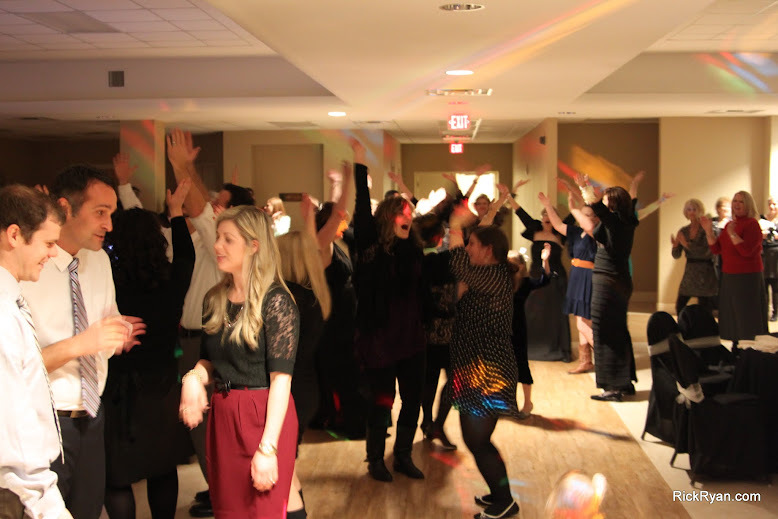 Some parties start with a bang but the majority ramp up to a crescendo. A truly great DJ won't get rattled by non-response but will continue to needle and prod a crowd patiently, until they get what they're after. Trust your DJ. You hired the best, right? Some of the hardest gigs that we work are the ones where we have a client who gives us five or six pages of song requests, then can't understand why their guests aren't dancing to their "Ultra-Alternative-Rock mix". We call this a "Want to DJ by proxy" client. We ask our clients for a list of 10-15 songs that they really like. 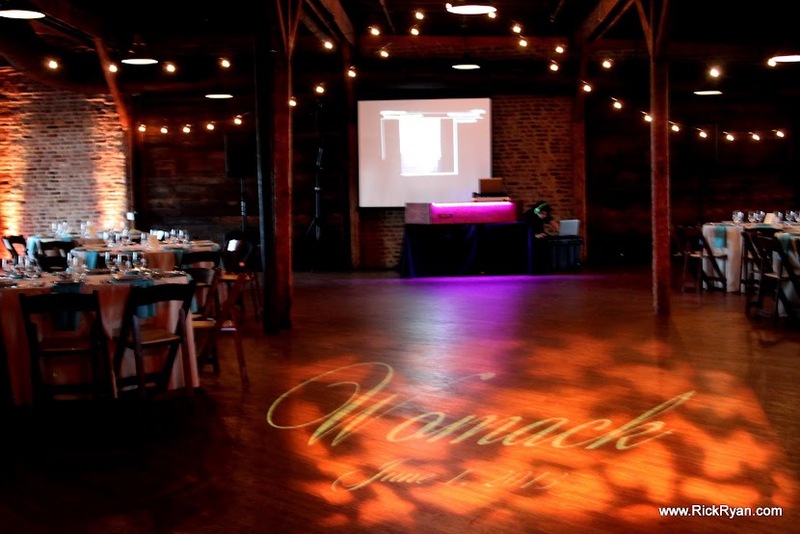 From this, we can tell where you are, musically, and will steer the evening in that direction while encouraging your guests to become involved with their own requests. 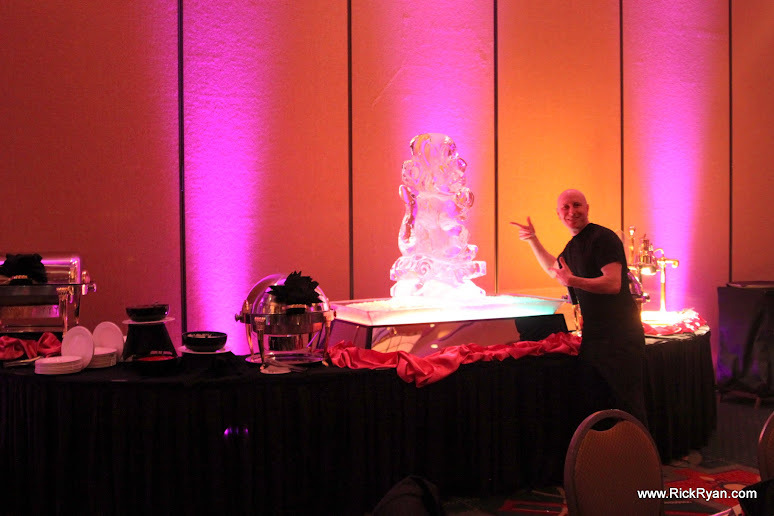 Guest requests are the glue that makes them "stick" at your event. 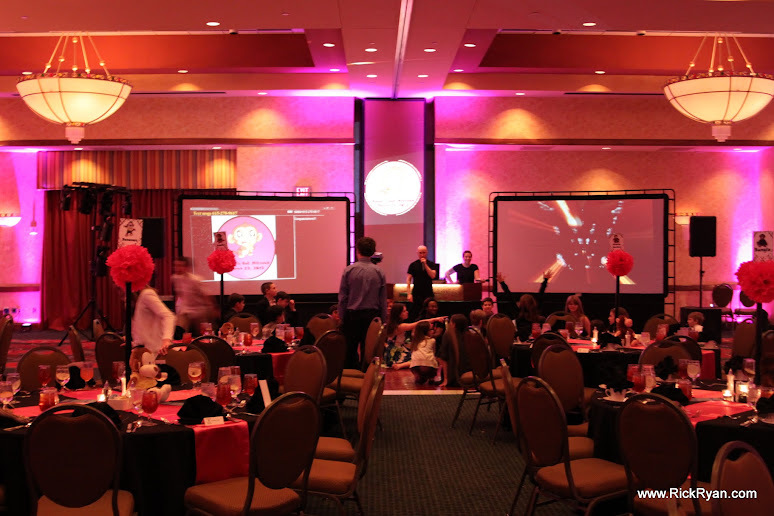 It makes them feel a part of creating the event and is vital to making it all work. Yes, this is your special day but remember also that your special day wouldn't be so special without your guests being a part of it. #3: Mix It Up A lot of DJs like to do the "generational thing". Big mistake. It takes too long to get the party started and that often causes guests to start bailing early. We use what I call "The Rule of Rotating Fours". 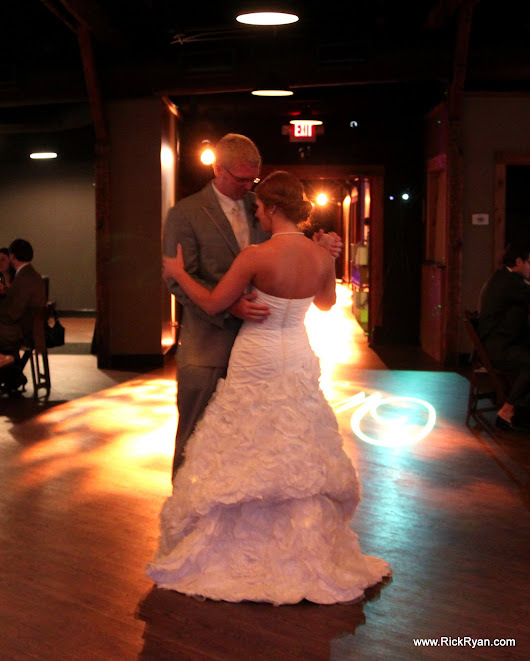 We usually start the open dance set with an Anniversary Dance. 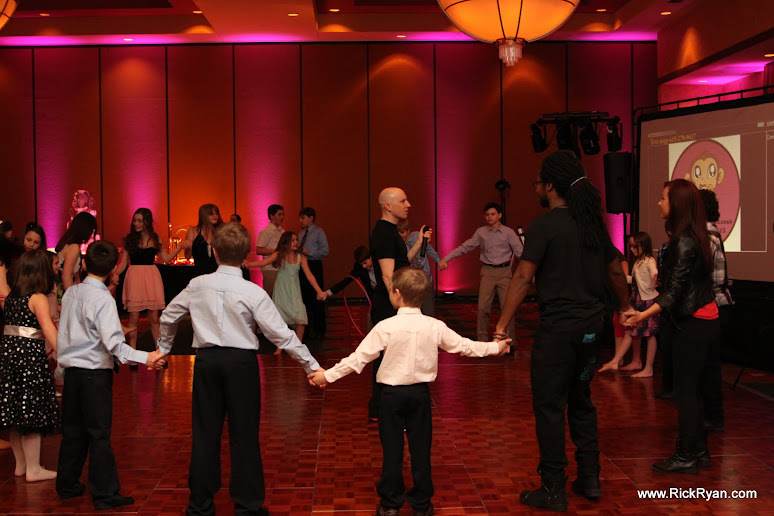 As soon as that is over, we'll hit a 70s funk piece (it lets the parent know the music won't just be for the young people), followed by mainstream Dance/Hip-Hop material. From there we'll flip genres and time periods in 4-song blocks. The idea is to tap every person in the room within 4 songs. What we've found is Grandma is cool with Ludacris or Gaga as long as there's something she likes within a few songs. The twenty-somethings also will put up with a few older selections as long as they have something cool coming up shortly. The other part is psychological. People are motivated by change, especially when it's something they didn't quite expect. 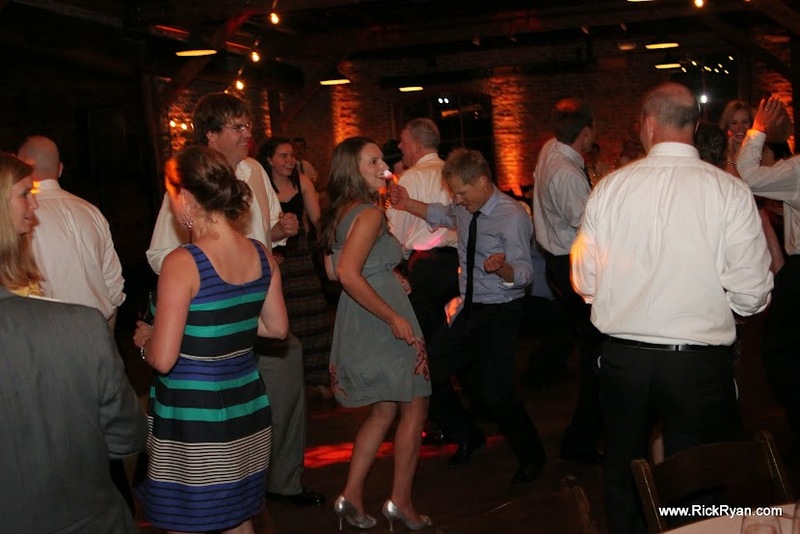 A good example of this is where we'll be in the middle of a strong Dance segment ("Wobble", "Dougie" etc.) and drop something like "Rocky Top" right in the middle. You'd think the Hip-Hop crowd would leave the floor but what often happens is hands fly into the air, everyone screams and the energy level goes through the roof. I often joke that my job is to keep them confused. It might sound strange but it works. Spend some time communicating with your DJ. Let them know about your guests in advance; age ranges, musical preferences, religious status, etc. This is why we ask to do a final read-through, on the phone or in person, the week before your event. It's also why we give you two different Song Request links on your Online Planner. One is for you, our client. The other is a voting system for your guests. The latter helps you to "build a buzz" around your event and to make more people feel a part of the process. Most weddings have a very wide range of ages but if your guests are primarily 50+, that's an important bit of info that we need in pre-planning. If your guests are non-drinkers then we need to structure the evening differently; perhaps using more interactive games to get the desired participation. Yes, a great DJ can change things on the fly but proper planning is important. 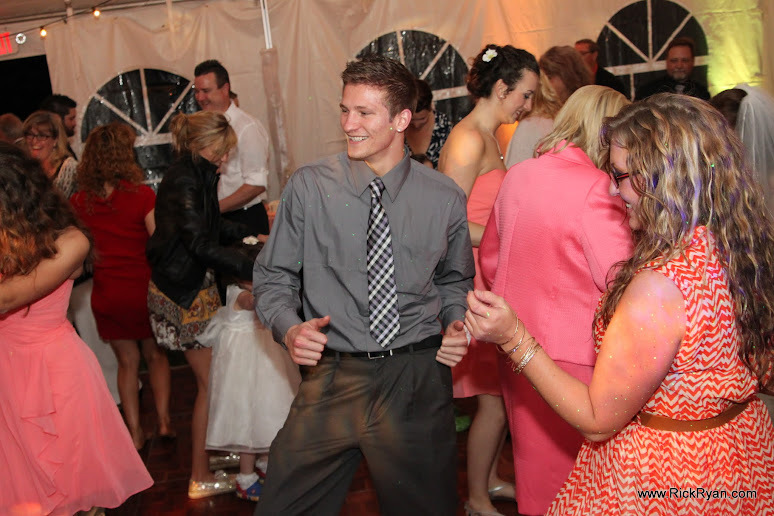 #1: Lead The Way We sometimes have clients that say "I'm not a dancer, but I really want my guests to dance." Sorry, it doesn't work that way. 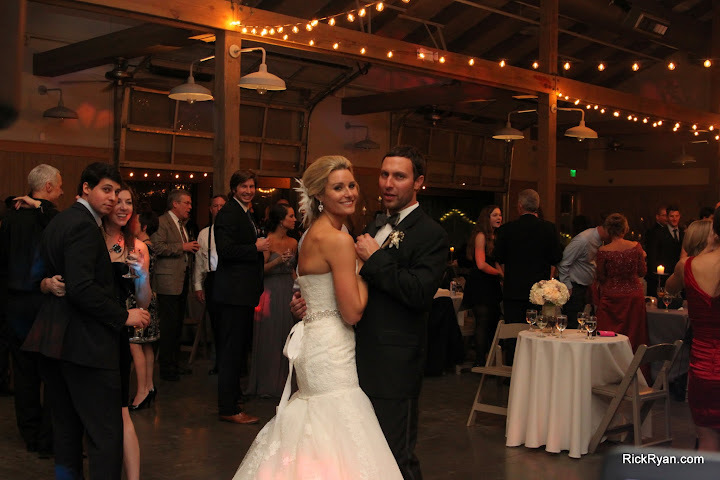 The simple fact is that your guests are always watching you, the Bride, and will take their cues from you and your groom. If you hit the floor, they'll hit the floor. If you stand around and visit, they'll stand around and visit. 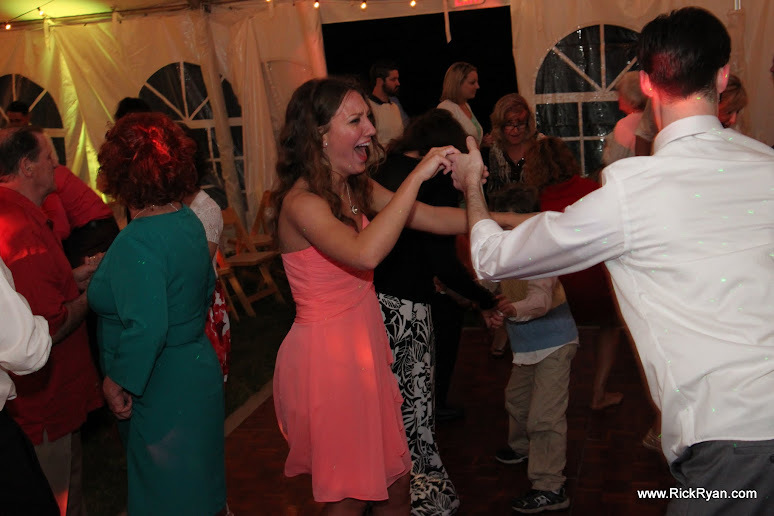 If you won't dance at your own wedding it's magnitudes-harder to motivate your guests to do so without you. I hope you find the above list helpful. While there's never a way to guarantee your event (anybody who promises you otherwise is lying to get the gig), if you'll follow the advice given, it does work. If you have any questions, even if you're not a client, please feel free to give us a call or email anytime. 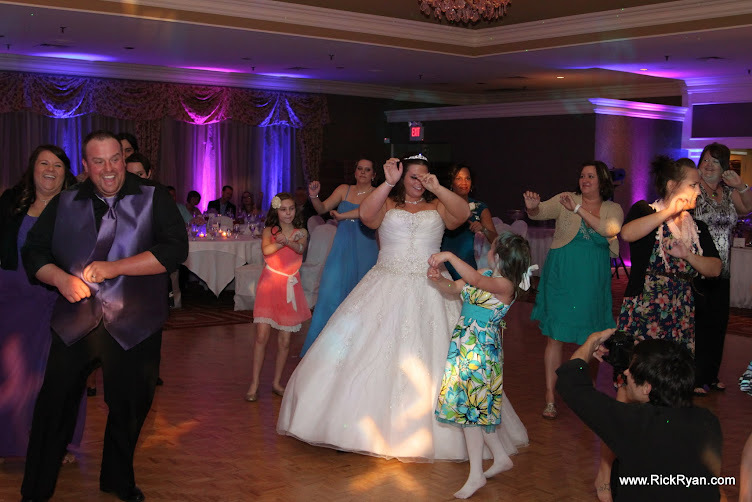 We want you to succeed and to have your Special Day to be everything you hoped for. 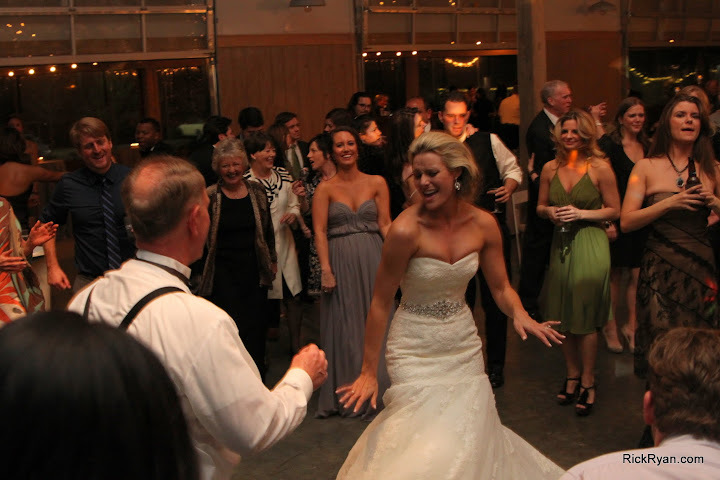 Rick Ryan Entertainment is Nashville's premiere party entertainment service. 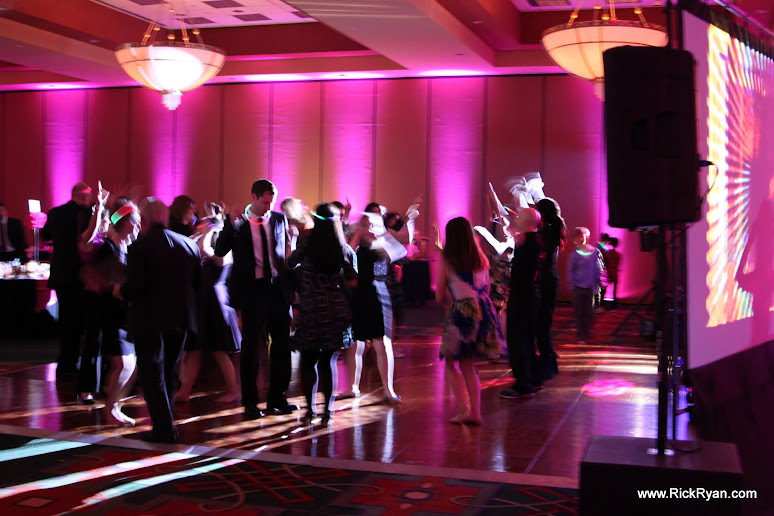 Our team of DJs and support personnel provide the ultimate in DJ, Emcee, Lighting and PhotoCenter service for many of the area's most discerning clients. Get our iPhone App today!